Microsoft Office 365 is a powerful, cloud based collaboration platform used by many Australian organisations to access company apps and data anytime, anywhere, and on any device. This means that the platform not only makes information available, but also hosts critical data. One of the greatest features of Office 365 is its ability to increase your business’ productivity, but what happens when a file or email message has been deleted from the trash bin and later needs to be restored? Once erased, this data is often gone for good. Data loss can occur for many reasons, with human error being the primary cause. Three quarters of data loss incidents are the result of accidental deletion. 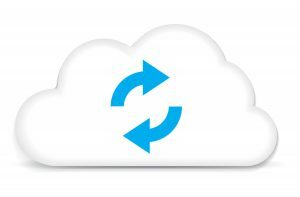 While Microsoft does include a backup strategy for Office 365, the solution may not always provide a full backup alternative or granular recovery options. Do you know Microsoft’s backup policy? Files being deleted as result of hacking or unauthorised access to company data. SharePoint technically has 90 days restoration from site recycle bin. Outlook has a 30-day retention – With your emails, Microsoft gives you more options where you can add a mailbox on legal hold, which requires Exchange plan 2 / E3, and it will ensure all emails are saved up to a maximum size. Even though Microsoft offers some additional protection, it’s a very time-consuming and complex process and possibly requires additional end user expertise to recover lost files. We recommend investing in a comprehensive Office 365 Cloud Backup solution to safeguard your email, calendar, contacts, SharePoint, and OneDrive data from deliberate or accidental loss. Our solution? SkyKick. We recommend SkyKick as the backup solution for Microsoft Office 365. SkyKick is an integrated cloud platform that includes migration, management and backup features. SkyKick’s Cloud Backup solution protects your business by offering a fast and simple way to recover data, giving you total peace of mind and enabling your organisation to remain productive even after critical files have been accidentally deleted. SkyKick is easy to deploy and manage. It’s hosted on Microsoft’s cloud platform Azure, which also offers additional compliance benefits, and works with native Office 365 features to protect the data in your Exchange email, calendar and contacts, SharePoint and OneDrive for Business. With unlimited storage capacity and no installation or complex configuration required, SkyKick is a set-and-forget solution that records up to six snapshots daily, and automatically discovers new users, sites and files that require back up. Saved data can be located instantly, with fast one-click restore and no file overwrites. File security is also respected, with recovery restricted to permitted users only. Data is retained indefinitely to meet legal and compliance requirements. Restoration is carried out in minutes, or even seconds, compared to six hours or more when using the native Office 365 backup solution. For a low and fixed monthly charge per user, SkyDrive means you’ll never need to worry about losing critical business data again. It’s the fastest and easiest file backup solution for Microsoft Office 365. You’ll also enjoy 24-hour SkyKick support via email or phone, but if Bremmar is your business IT partner you don’t have to worry. We’ll take care of everything for you! 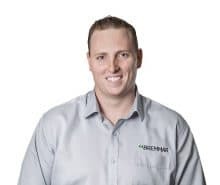 If you would like to learn more about how SkyKick can protect your business, simply call Bremmar today on 1300 991 351 or email help@bremmar.com.au.